It’s that time of year again to make last minute decisions and preparations for the 2019 planting season. Throughout the winter you have been to clinics, seminars, and blasted with ads on social media — all with the message to be more efficient and profitable. So now what? Optimally, the lowest cost investment with the highest and quickest return is the most appealing, right? Have you considered updating your mechanical meters to vacuum meters? Why vacuum meters? Vacuum metering presents several opportunities over mechanical meters. Performance, cost, and simplicity are all areas where vacuum meters excel over mechanical meter options. Let’s start with performance. Have you ever had an instance where you discovered a hybrid that would excel in a particular field, but steered away due to the seed weight or shape — knowing that your finger meters may not plant that type of seed well? If you or your seed dealer are catering your seed selections to meet the needs of your meter, and not your fields, you are limiting yield opportunities. Vacuum meters allow a wider array of seed sizes and shapes to be planted than a finger meter. Historically, finger meters accommodate medium round kernels better than large or small flats or rounds. But as hybrids and varieties continue to be developed and become more advanced, medium rounds are not always available, or the prime varieties your fields need may not be available in that seed size. With vacuum meters, you can easily switch from small rounds to large flats by making an easy and simple adjustment to the meter’s singulator — unlike a finger meter that has no adjustability. 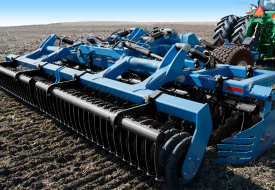 Finger pickup meters also have a limited optimum speed where they perform best, whereas vacuum meters are more flexible to allow planting at varying speeds without impacting meter performance. Another aspect to consider when comparing vacuum meters to mechanical meters is Coefficient Of Variation (COV), which is the statistical value of how well a meter is releasing seed and the variation of seed spacing that results. This means it is possible to have perfect singulation (no skips or doubles), but a perfect "picket fence stand" will not result if seed is not releasing uniformly. 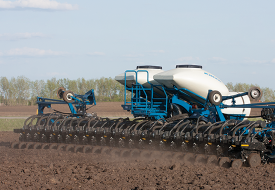 While there are several factors that affect seed spacing during planting, the greatest influencer is the accuracy of the meter. If you can improve singulation and COV at the meter, you are setting yourself up for greater success. 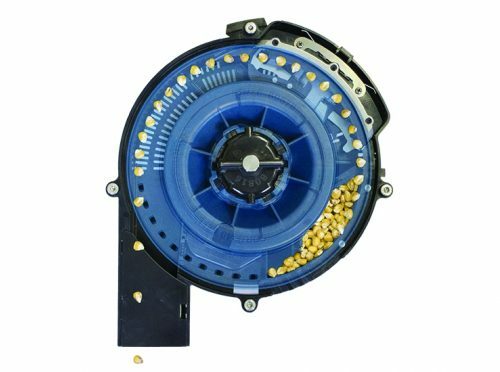 I have worked with several customers who have upgraded to the Kinze True Rate vacuum meter on their planters and they often comment they wish they had done it sooner. While they appreciate the features and benefits already discussed, the main reason for their regret is because they realize how simple it is to use. The True Rate vacuum meter offers one single singulator for all crop types; and adjustments are easily made to accommodate different types and sizes of seed for optimum accuracy. With an easy to remove cover and seed discs, crop changeover is as simple as removing one disc and installing a different one. This not only speeds up changeover times, but also takes up less space than storing both finger meters and brush meters during the offseason. Overall, the True Rate vacuum meter provides more flexibility, allowing the operator to plant at a wider range of speed, at a various populations, using more diverse seed sizes and shapes, and have the ability to plant many different types of seeds including corn, soybeans, edible beans, cotton, wheat, and select cover crops. What is the value of performance in terms of return on investment? Let’s compare a True Rate™ vacuum meter to a finger pickup meter by reviewing meter performance. Using actual test stand values, if a True Rate vacuum meter plants at 99.6% singulation, and a finger pickup meter plants at 97.6% singulation under similar conditions, that equals 680 fewer seeds planted per acre with the finger meter. With 680 plants equaling approximately 4.9 bushels of harvested corn, that means the 4.9 bushels/acre at $3.50 per bushel would be a loss potential of $17.00 per acre. For a farmer that plants 1000 acres of corn, that equals $17,000 of lost potential revenue. As you can see, there are many great opportunities for profitablility associated with using a vacuum meter, but what does it cost to upgrade to the Kinze True Rate vacuum meter? 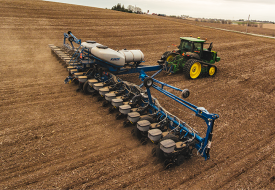 While the initial investment will vary based upon planter model and number of rows, the cost of retrofitting your planter is not as much as you might think. 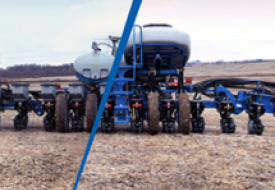 Please contact your Kinze dealer for exact pricing. Beyond the initial investment, an important cost factor to consider, but which is often overlooked, is the cost of ownership. This is another area where the vacuum meter out-performs the mechanical meter. Compared to finger meters, vacuum meters do contain some wear items, but there are fewer number of them and they do not need to be serviced as often. This results in a cost of ownership of only $0.11 per row acre for the True Rate vacuum meter versus $0.24 per row acre for the finger pickup meter. In addition, when performing annual tests on the meters, each finger meter should be tested due to the high number of parts, while testing just a few vacuum meters will indicate the overall condition of the remaining meters. This saves both time and money. In conclusion, upgrading to the True Rate vacuum meter isn’t a purchase, it’s an investment. True Rate vacuum meters are proven and provide the simplicity, performance, profitabilty, and the return on investment you want for your farming operation. Want True Rate™ vacuum meters for your planter? 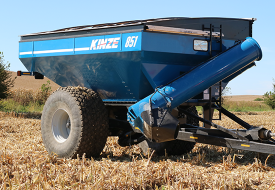 Contact your Kinze dealer for more information and pricing on retrofit kits.